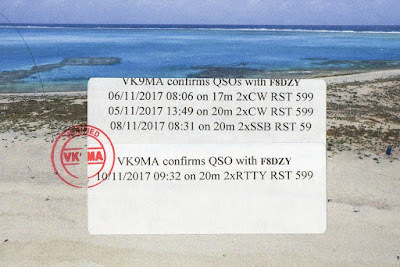 F8DZY "Ham Radio only...": VK9MA Mellish Reef in the mail ! 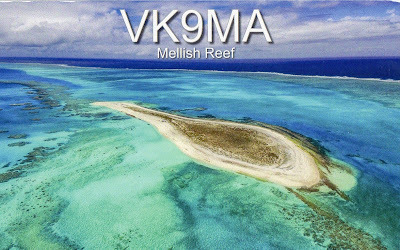 Hi, yesterday I received VK9MA QSL Mellish Reef IOTA OC-072 confirming our 4 QSOs on 17M CW & 20M CW-SSB-RTTY... It was my 321st confirmed DXCC.